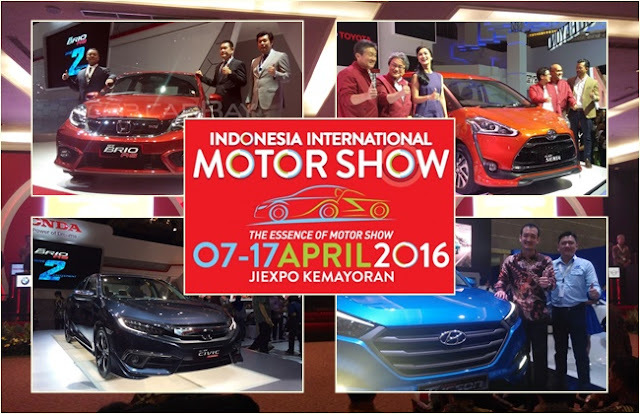 Indonesia International Motor Show got underway today in Jakarta and the day one wrapped up in a delightful manner for both participants as well as visitors. The show boasted a range of new releases and the brand officials took pride in announcing the same. It certainly was a fruitful start to the automotive extravaganza, which is a 11-day affair and will continue to invite visitors till the 17th of April. With over 10 automotive brands present at the show, the auto event is estimated to move on to positive steps in the upcoming days. Here, we compile a list of brands showed up with their launches/showcases on the first day of IIMS 2016 in the following section. The Japanese automaker enticed locals with two of its most awaited cars, the 2016 Honda Civic and 2016 Honda Accord. The automaker ended the long wait by shedding off the covers from the new Civic, which has been spied quite a few times on the streets of Indonesia for testing. Imported from a Honda’s plant in Prachin Buri, Thailand, the new Civic has quite a few things to flaunt about as the Japanese automaker isn’t used to do things like these. Capable of churning out a max power of 173 hp and a peak torque of 220 Nm, the all-new Civic is priced at Rp 475 million for the Indonesian market. 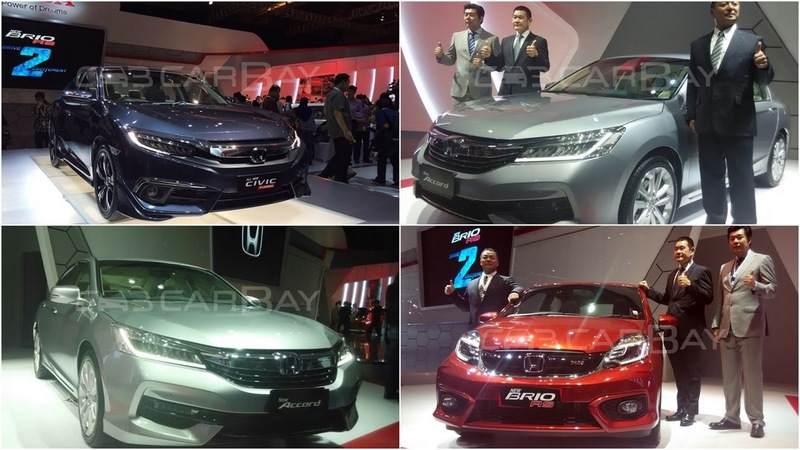 Another premium car model from the fleet of Honda cars, which saw light at the IIMS was the Honda Accord face lift. Although, Accord hasn’t been a new name for the people in Indonesia, but now with the inclusion of a face lifted Accord, it is expected to lure the crowd significantly. The new Accord gets tweaked from the outside, inside and on its tech front while the engine under the flesh remains the same and it still continues to powered by a 2.4-litre DOHC i-VTEC engine. The American auto marque came with other plans to this auto exhibition as the automaker’s sole aim wasn’t to just showcase their engineered productions to the world but also to connect to customers and viewers present at the show. 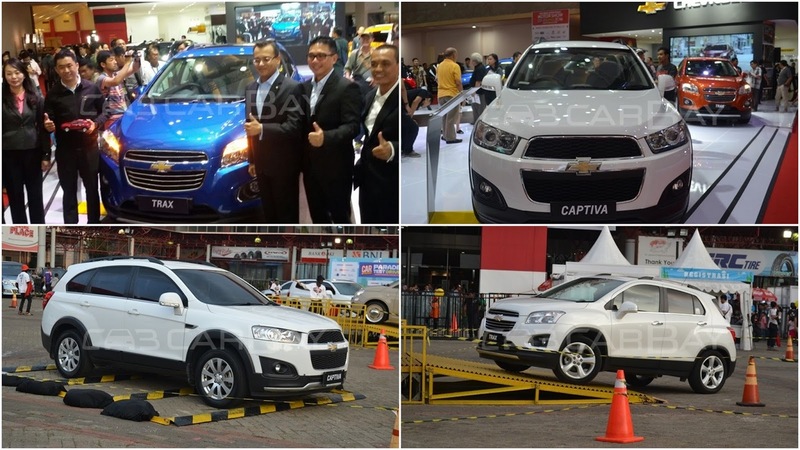 The compact SUV, Trax from the catalog of Chevrolet was centre staged at the event but with a couple of surprises. The prime agent of Chevrolet in Indonesia, PT General Motors Indonesia gave appreciation to the first buyer of the Chevrolet Trax by offering him a momentum; thereby, demonstrating the commitment of the brand towards their customers. In addition to this, a special program called Theatre of Dreams was hosted by Chevrolet for all the Trax owners to get a chance to witness a British football club match live in Manchester United, which has been sponsored by Chevrolet. 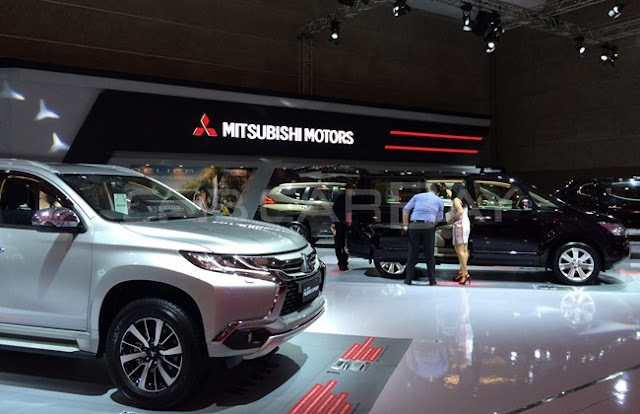 With a covering area of around 745 square metres, the three diamond brand from Japan marketed their flagship models at the auto show including the all-new Pajero Sport, Mitsubishi Delica (MPV), Strada and Mirage. In addition to the showcase, the brand had two 4x2 and 4x4 Pajero Sport for customers to relish the test drives, which means you can avail the test drive of the big and sturdy SUV then and there itself. 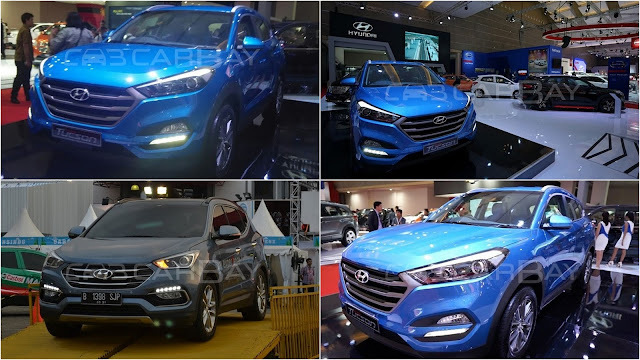 The South Korean automaker introduced the all-new Tucson at the show, which stood tall with its new and athletic appeal resembling its big brother, Santa Fe. The all-new tag justifies the vehicle effectively as the tweaks are spread across its exterior, cabin, engine, transmission and control. On the outside, it carries a Fluidic Sculpture 2.0 design language that’s potent to attract several eyes on a first glance. The Germans took everyone by storm at the event as they brought a wide range of vehicles from their portfolio to show off, which include the best as well as the latest entrants in the line-up. With the aim to target the luxury class in Indonesia and strengthen its position in the market, the German brand is doing every possible trick to attract more sales. 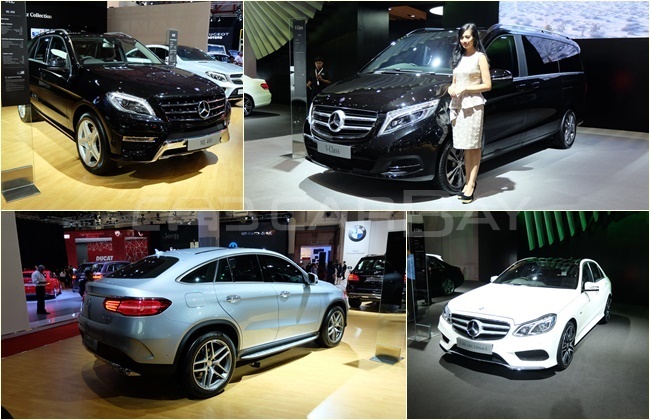 The list of models staged at the show include V-Class (V 220d), GLE-class, GLC-class, M-class, GLA-Class, A-Class, B-Class, CLA-Class, S-Class, C-Class , E-Class and CLS-Class. All the models came to the show with top-level trims, as GLE-Class featured the GLE 400 Coupe and the E-Class with E 400 AMG Edition. 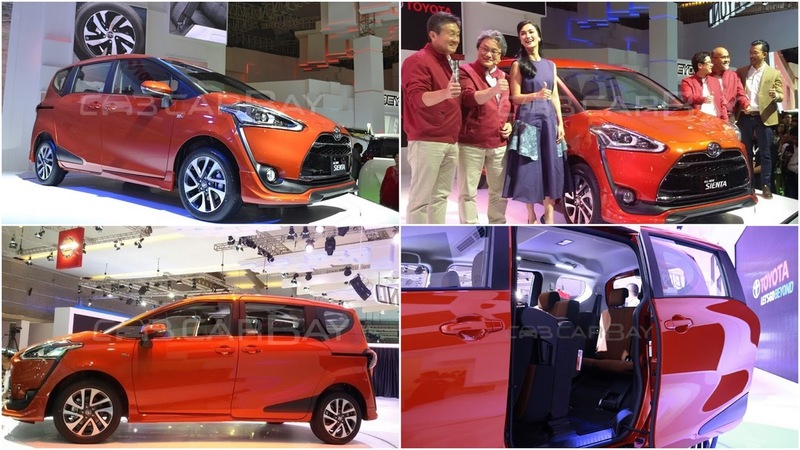 Not to forget, Toyota, which came up with its much-awaited Sienta on the opening day of IIMS 2016. 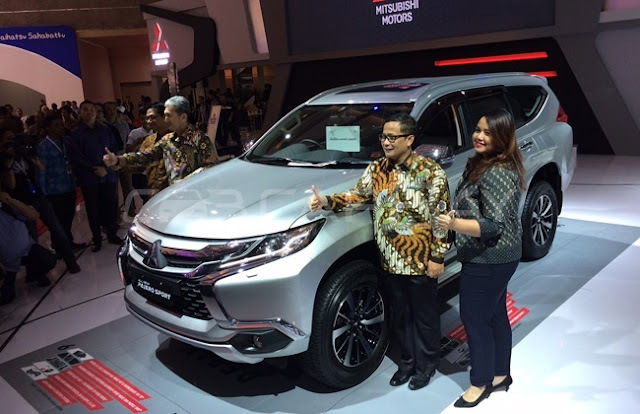 The brand officials revealed that the bookings for the compact MPV are open while the sale will begin from July, 2016. However, they have been lip locked on the price as it will be out somewhere in May, leaving the fans guessing.